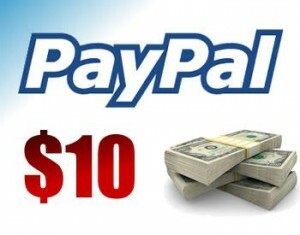 ***CLOSED****Enter To Win $10 PayPal Cash!! Very Simple Entry!! Open WorldWide!! Well you guys keep asking for it so here it is!! (See I listen to you!!) Enter to Win a super easy entry giveaway for $10 PayPal Cash!! Open worldwide!! Must be 18 or older and have a valid paypal email ( I have to be able to send the money to you!) Please enter on the rafflecopter below. Please share on all social media (not required but I sure would appreciate it! My favorite season would have to be winter, it is a time of relaxation getting ready for the renewal of spring. My favorite season is spring. Me and my son plant flowers each year! I absolutely love Spring! Can get outside and walk the dog and ride bikes with the Grandkids! Summer so much fun to go camping! My favorite season is summer time! Freebies are great. Thank u. My favorite season is spring. Get to turn off the AC and heater and open the windows. I love the spring when all the flowers start to bloom! My fave season is summer! Leave a comment below and let me know what your favorite season is!! I like spring. Spring,everything starts to come alive again. Spring has always been my favorite time of year. So beautiful & colorful. Always seems to be just about right here in San Diego. A lot of outdoor events too! I love Winter! I love the holidays, and the family time, and the gift giving and all the crazy busyness of that season. It is also when my son and I celebrate our birthdays, and when we get to participate in a lot of musical events. My favorite season is winter! I love the snow when we do get it! would love to win, theres a little outfit that I would love to get for my little girl but don’t have the funds to get it right now..I am a big fan of PayPal, I use it all the time, its the best way to shop online. Its quick and very easy to use that my 5 year old son that has Autism could use it!!! r we supposed to receive an email to confirm entry? Cuz if so, then I didn’t get one. And wut do u mean by valid PayPal email? ohhh winter. i love being bundled up. My favorite season is Spring, thanks! My favorite season is Spring. I can go fishing, camping, BBQ, and play in the pool. I live in Texas so it’s kinda hard because sometimes we don’t have seasons. We have very hot or very cold. So I like 75 degree days and we have very few of them. MY FAVORITE SEASON IS SUMMER I GET TO WEAR LIGHT LINEN AND GREAT JEWELRY! I love the summer cause the grand kids get to come and stay for a while. My favourite season is summer! My favorite season is summer. Love the warmth and having the kids home. My favorite season would probably have to be fall. I love the cooler weather, and I also just absolutely love the smells of fall. Of course, the leaves are beautiful as well as they are changing colors! Spring time and great weather and sleeping weather too. I like Fall because it isn’t to hot and not to cold. My favorite season is summer!